Today is World Diabetes Day that marks the birthday of Sir Frederick Banting, the man who discovered insulin in 1922 along with Charles Best. The idea behind World Diabetes Day is to spread global awareness about diabetes mellitus. The day that was started by the International Diabetes Foundation and the World Health Organisation is celebrated every year on 14th November since 1991. Since 2007, iconic monuments around the world have been lighting in blue, which is the colour of the blue circle of diabetes. So far over 1000 monuments in more than 80 countries have lit in blue in support of the cause. Previous monuments include London Eye and 10 Downing Street in London, the Christ the Redeemer statue in Rio de Janeiro, Municipal Corporation of Greater Mumbai Building (BMC) in India, Empire State Building in USA and others. In the UK this year, the Elizabeth Tower popularly known as the Big Ben, the BT tower and Trafalgar Square fountain will be lit in blue. Diabetes affects far too many people in London and across the UK. It is vitally important to raise awareness of a disease that is preventable and treatable and I am delighted to back this campaign. I hope it will encourage more people to get tested, but also inspire more of us to think about what can do to reduce the risks ourselves, by getting more active and eating more healthily, said London Mayor Boris Johnson who will be lighting the Trafalgar Square fountain blue. 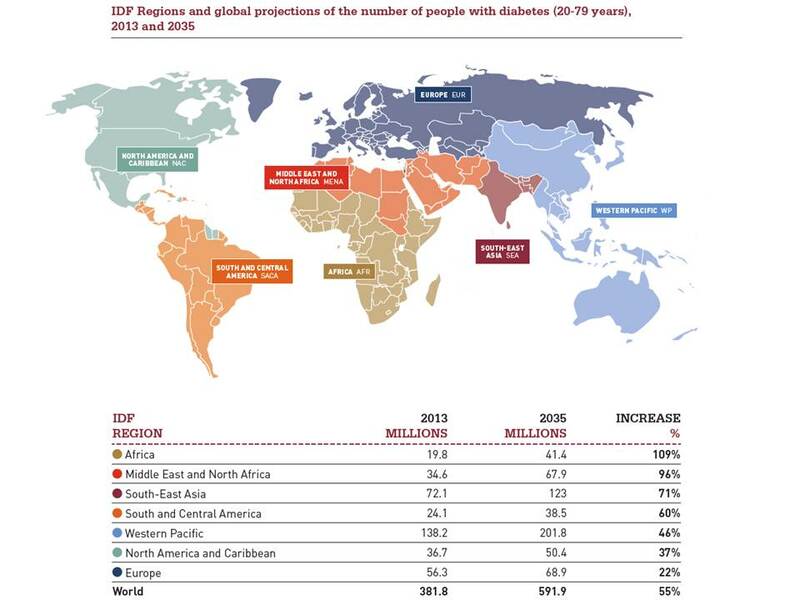 On the occasion of World Diabetes Day, the International Diabetes Federation released the 6th edition of the Diabetes Atlas with an interactive map. 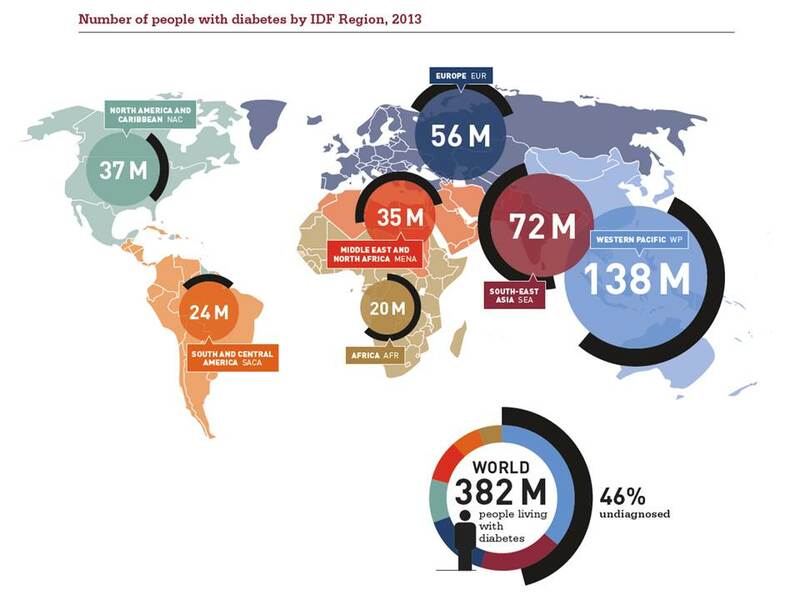 According to the latest Diabetes Atlas, 382 million people have diabetes and by 2035 this will rise to 592 million. By the end of 2013, diabetes will have caused 5.1 million deaths and cost $548 billion in healthcare spending.